"I will keep America moving forward, always forward, for a better America, for an endless enduring dream and a thousand Points of Light. This is my mission, and I will complete it." A recent survey found 43% of Americans are decorating for Christmas before Thanksgiving. For all the Thanksgiving fangirls out there, cover your ears: the Thanksgiving holiday seems to be losing more market share--and respect--every year. For starters, the traditions aren’t being observed like they used to. Not only are the turkeys getting smaller, but many are opting out of cooking the meal, arguably the most quintessential element of the holiday next to actually having the meal (and football). 1 in 4 diners reported that they were “not going to do all the work of fixing Thanksgiving dinner.” The google search for Thanksgiving meal kits rose 2000% from 2017. 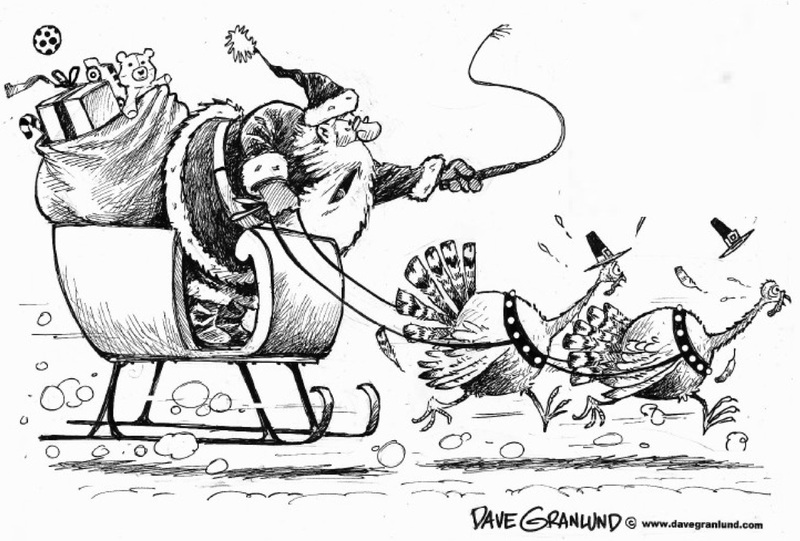 Another convention of the holiday being disregarded is eating with your family. This is evident through the rise of Friendsgiving, a concept--born from an ad campaign-- that didn’t really exist until November 2013 and has exploded since. And of course, the commercialization of the long weekend - looking at you Black Friday and Cyber Monday--has done a number on the holiday. A recent Business Insider article stated, “While Black Friday usually is considered the start of the holiday shopping season, Thanksgiving has largely replaced it online, with most steep discounts starting at midnight or even earlier.” This year, Thanksgiving Day brought in $3.7 billion in online sales, a growth of 28%. Amazon has even renamed the holiday weekend--traditionally referred to as Thanksgiving weekend--to the “Turkey Five,” signifying the 5 [big shopping days] starting Thanksgiving day and ending with Cyber Monday. 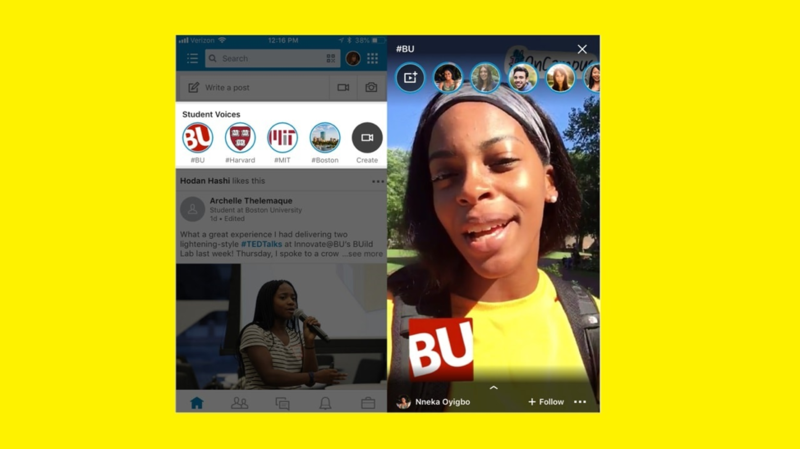 Last week, LinkedIn announced the launch of Student Voices, a Snapchat inspired feature, that will allow users to post ephemeral video content on the platform. 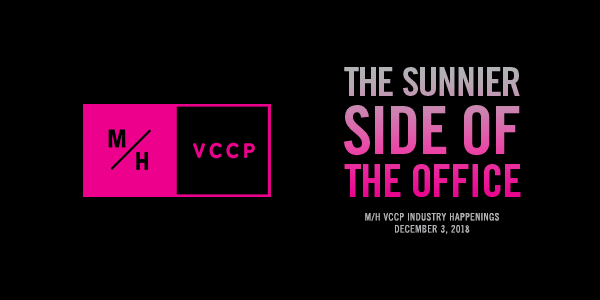 Student Voices will be promoted towards U.S. based students and recent graduates. Using the LinkedIn app, users will be able to post videos that last between 30-45 seconds. These short form videos are LinkedIn’s push to encourage younger users to share experiences, special moments, and advice, both academically and professionally. While their current focus is on increasing engagement with a younger student-based audience, LinkedIn’s goal is to eventually roll it out to more of its users and potentially brands. Given that LinkedIn is coming into the saturated digital storytelling space much later than its leading competitors, it will definitely be worth keeping a close eye to see if a younger audience adopts this new feature or if it will just disappear without a trace. You know those weekend Instagram Stories that maybe aren’t meant for your supervisor or mom to see? 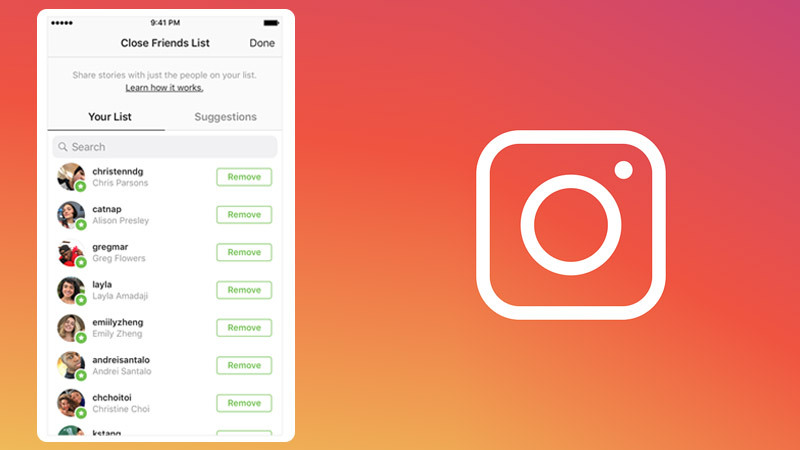 Well, Instagram felt your pain and recently announced the globally launch of Close Friends—the newest feature that lets you build a single private list of your best friends on Instagram and then shares Stories only with them. Members of your Close Friends will see a green circle around your profile pictures to indicate it’s not a public-facing story. Ultimately, Instagram wants to encourage people to share more and Close Friends is most likely an answer to a growing problem—"finstagrams,” (also known as just “finstas”) or secondary private Instagram profiles that teenagers and college-aged users rely on. The confines, standards and prying eyes that come with a traditional Instagram account aren’t an issue with finstas, because only your closest friends see your silly, vulnerable posts. Knowing that only pre-screened friends will see a potential story, Instagram is betting people will be more willing to share personal, unfiltered content on its Stories platform through Close Friends. The security of a completely different secret account might be too much for some users to give up, but the convenience that Close Friends brings is a strong motivator. On this day in 1984, "Do They Know It's Christmas" single written by Bob Geldof and Midge Ure and sung by Band Aid was released.